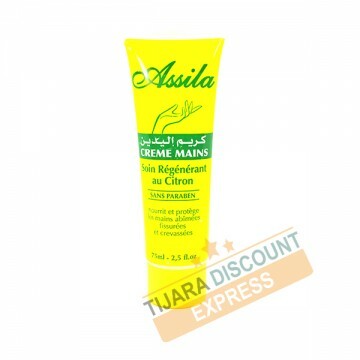 The hand cream Assila with lemon repairs damaged hands and leaves on your skin a pleasant fragrance. its light texture moisturizes your hands without leaving any greasy film on the skin. Apply at least twice a day to the damaged areas until absorbed.